Hays Woods is a unique urban forest located in the city of Pittsburgh, Pennsylvania. 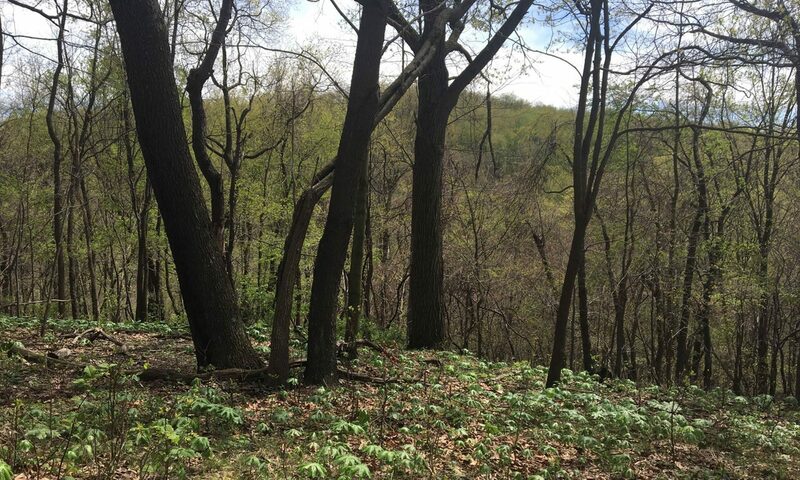 Flanking the Monongahela River between the neighborhoods of Baldwin, South Side and Hays its 660 acres consist of interior forest, wetlands, open streams, meadows, waterfalls and steep wooded slopes. Its acreage supports diverse wildlife and plant communities and provides critical habitat for migrating neotropical birds. Six interior forest patches also provide valuable nesting habitat that is exceptional in an urban setting. The forest is home to two species of Special Concern: nesting Bald Eagles and Red-fruited hawthorn trees. For decades the site has acted as unofficial parkland. Visitors hike, bird watch, hunt, ski and cycle to enjoy its natural heritage in southwestern Pennsylvania. Like most of the Pittsburgh area, Hays Woods has experienced multiple uses. Family farms gave way to coal mining, natural gas exploration and an industrial research facility owned by LTV Steel Corporation. Power and natural gas transmission lines now cross the land. Industrial activities compromised the environment but Hays Woods has rebounded and is healing itself. Careful stewardship can further restore the land and water to a healthier state. 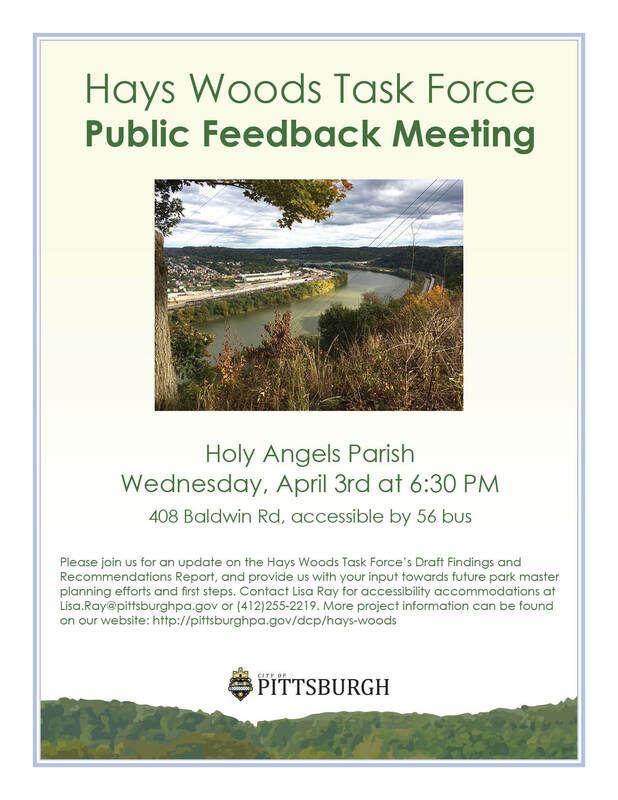 COME to a PUBLIC MEETING on April 3, 2019, 6:30pm at Holy Angels Parish to learn about the Mayor’s Hays Woods Task Force plan for the site. Click here for the event flyer. Watch a five-minute flyover video of Hays Woods & surrounding area, 2005. Download Maps of the trails, watersheds, habitats and much more. See its environmental features in photos, slideshows and on-site assessments.